One can not put anything beyond the Ugandan Police! I thought Kayihura has all the guns, money and the support of the Appointing Authority. I thought this would be the time to clear his name and clean the image of the police. Although I was disappointed with the way things turned out, I was not surprised. One can not put anything beyond the Ugandan Police. Officer Baguma’s saga tells it all. In the past it was unthinkable that the Police force would do anything to shield somebody suspected of facilitating a murder or being negligent of his duty from prosecution. One wonders why he opted to use the goons or allow the goons invade the court. Anyway he is on record to have applauded the goons and the criminals in the police force he heads for beating up the helpless citizens. Populist approaches to purely legal matters may not be of any benefit any one. One can never know when the very populist approach will work against such a person. It is a dangerous approach this highly learned friend chose take knowing very well that everyone needs the law to accord him or her a fair hearing. A mob justice does not solve anything. When you allow goons and mobs to work with and even be part of the police force, then you know something has gone totally wrong. Let us pray for him but most importantly for our country so that we don’t go down that path. We have been there before. And the experience was not a good one. During the Obote’s second regime it were the men in police uniform that would organize “panda gari” raids and send citizens to fields where they were screened, the unlucky ones tortured and others killed. The police force that was supposed to protect people and their lives in the first place was the very force organize for their disappearance and possible death. And after that they would claim to be protecting people and their property. Hope we are not about to witness history repeating its self. My honest prayers for you all. ‘I had earlier decided not to communicate on this forum but thanks to you for doubting the legal knowledge of my boss-you have forced me to come back. I realise it’s your knowledge of the Uganda laws that is lacking. You need to know that there are different laws in this country. Article 79 of the constitution is particular on one type of la-Acts of Parliament. There are statutory instruments which are laws not made by parliament but by a person or body authorised to do so under an Act of Parliament. For instance Ministers in government can make statutory instruments-these are laws!, KCCA has made bye-laws-these are laws!, Organisations also have laws in their respective constitutions and regulations governing both their operations and relationships between the members of the organisation. Thus the IGP’s remarks are not in anyway contrary to what Article 79 of the constitution provides. Party constitutions also have laws!. Interpreting 79 to mean that it covers all the laws is to display ignorance about the various laws applicable in a country.’—Musiimenta Immaculate. Last week a Police Constable Julius Mugambagye attached to Mbarara Police Station shot dead four people over a love affair. He was formerly a member of the Local Administration Police (LAP) that was dismantled and integrated into the Uganda Police Force (UPF). As usual immediately after this incident for fear that the it could spark off the much feared civil disobedience, the Inspector General of Police (IGP) Gen Kayihura rushed to the scene of crime. He addressed the residents and dished out cash handouts to the families of the deceased. In his ADDRESS, he expressed regrets over integration of former LAP into the UPF without adequate training. He promised that all police officers were to be subjected to fresh vetting to wipe out the undisciplined and unprofessional thus: “We can not tolerate this. All Police persons are to be subjected to fresh vetting to remove the undisciplined, those with criminal mind and character and the non patriotic.” He ordered that all former LAP personnel be taken for fresh training in Yumbe. He cited patriotism among the few benchmarks for one to be a Police Officer but fell short of disclosing that they were to undergo political indoctrination under the guise of fresh training. When Museveni came to power in 1986 he inherited a Police force that was dominated by people hailing from the northern and north eastern regions though the force had a a good number of personnel hailing from the other regions. He viewed the entire force as being hostile to his regime the same way he it had been the case with the Judiciary and the entire legal fraternity. That way, the army took over policing with Gen Aronda’s team stationing itself at the Central Police Station (CPS). In the countryside, Civil Intelligence Officers (CIO) – the old version of the present District Internal Security Officers (DISO) took over running of police stations. His desperate efforts to recruit loyalist cadres into the police force around 1987 did not make any impact save for a few like Cadre Turyagumanawe. As time went on his conflict with the police escalated to the extent that he one time publicly told them that unless they learnt to vote wisely,their welfare would never improve. 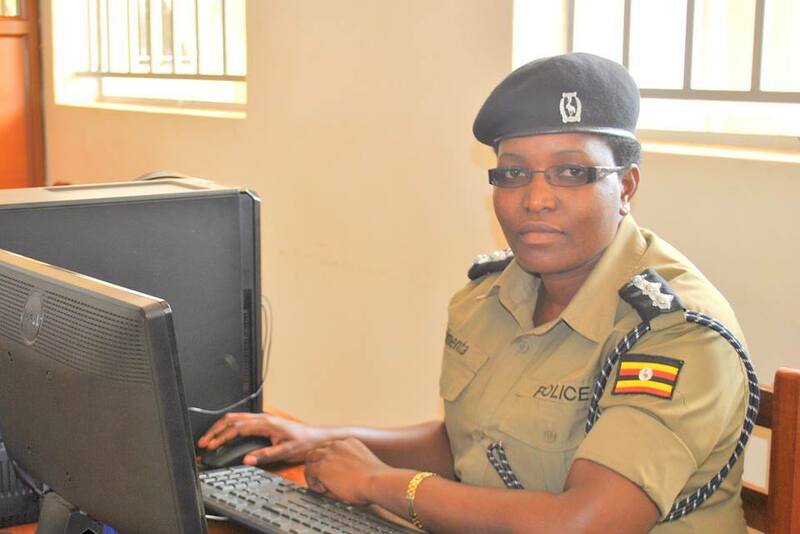 He initiated the Julia Sebutinde commission in order to target and eliminate certain individuals in the Police force. He deployed Gen Katumba Wamala not to improve the force’s performance but to give way for ‘his own’ Gen Kaziini to rise to the position of Army Commander. At the time it was Gen Ivan Koreta and Gen Katumba Wamala who were most qualified to replace Gen JJ Odong as Army Commander. For the same purpose Gen Koreta was diverted to Internal Security Organisation (ISO). At the same time the rising star in the Police force, Inspector Fred was diverted to peace keeping in South Sudan. While at the helm of the Police, Gen Katumba Wamala was accused of mobilising logistics from City tycoons to facilitate community policing – a move Museveni described as “nonsense”. By the time both Gen Katumba and Gen Koreta returned to the mainstream military service, Gen Kaziini had raised to the position of army commander. The same way Gen Aronda had been assigned to the privatisation of the army scheme, Museveni appointed Gen Kayihura turn it into a coercive arm of his ruling NRM clique. Police Force as a Local Administration Police. shall be responsible for all its operations. (a) Receive the same training as officers of the Uganda Police Force. Going by the above, it is the IGP to blame for the alleged lack of training and professionalism by the former LAP personnel. However, the issue is not lack of training and professionalism but the erosion of discipline orchestrated by institutional impunity and protectionism. Just during the same time of the Mbarara incident, there was a similar incident in Jinja where the Police and the so called Crime Preventers OPENED fire to unarmed traders who had a scuffle with tax officials and injured two. The Police at the scene were under the command of the District Police Commander Apollo Kateba. In retaliation, the traders also descended on one of the crime preventers whom they almost lynched to death. The Regional Police Commander disclosed that two of his officers had been arrested for shooting people adding that they should have used their training to contain rioters. This phenomena of District Police Commanders leaving their stations to oversee small operations by their men alludes to the much feared civil disobedience. Its for the same reason that the other day the DPC of Old Kampala was involved in chasing the innocent journalist on the street before attempting to murder him. The Police Commanders are under briefing to be on the look out and not to take any incident for granted thus acting under pressure. Its not only LAP that was integrated into the Uganda Police Force; all the different auxiliary forces that had been created in different parts of the country ended up in the Police force as Special Police Constables without going through the formal police recruitment and training. Currently the drive is targeting millions of NAZI GESTAPO like secret police in the form of Crime Preventers. As part of the reaction to the Mbarara shooting incident, plans were announced to recruit and train 23370 Crime Preventers throughout the district. But AGAIN how does a Local Administration Police personnel from Bunyaruguru end up serving in Kotido in Karamoja. The suspect Mugambagye Julius had just been transferred to Mbarara from Karamoja shortly before the incident. Periodic vetting of Police officers would be a healthy move if it was done in good faith. In Kenya it is provided for in the constitution under Art. 246 and the S.7(2) and (3) of the National Police Service Act. It is carried out by the National Police Service Commission who invites the public to provide INFORMATION that may assist in determining the suitability and competence of officers. The overall objective is to build confidence and trust in the national Police service. The APPLICABLEvetting standards include officers satisfaction of entry and training requirements, their professional conduct and discipline, integrity financial probity, and respect for human rights. Those who satisfy the commission are retained and those whose integrity is found lacking are removed from the service. The last such vetting in Kenya was carried out in late 2013 through early 2014 when some heads rolled. Therefore the vetting Kayihura is talking about is a purge to get rid of those suspected not to be fully loyal to Museveni’s life presidency project. This is not the first time Hon Nantaba has made outbursts against me, and the Uganda Police in respect of land conflicts. However, being disciplined we have, hitherto, restrained ourselves to respond directly, through the media, to her false accusations, opting instead to channel our grievances to appropriate authorities. However, as it is becoming a pattern, and as the falsehoods could be believed if not countered (a prominent and effective propagandist in wartime Europe in the 1940s said that if you tell a lie repeatedly it becomes the truth), we have this time decided to respond. To begin with, I find it wrong that an Hon Minister of government should choose to use the media to address whatever problems she has with the Inspector General of Police and the Uganda Police. Instead of going to the media to speculate and utter falsehoods, based on misinformation, she could have easily established whether my current work in Kayunga is an assignment to me by H.E. the President or not. Instead of the media smear campaign against me, if am involved in any wrong doing as she claims, surely the Hon Nantaba knows the disciplinary authorities, and channels of Government to bring me and the Police to book!! I don’t want to believe (as I could be tempted to do) that Hon Nantaba has some sinister agenda targeting me as a person. To put the record straight, as I publicly stated in all the public meetings I held in Kayunga district, I am on assignment by H.E. the President to carry out specific tasks. My first task was to deliverthe message of H.E. the President to both the landlords, and tenants that they should tell the truth in respect of their allegations against each other; as well as claims and counterclaims of ownership/interests in the different farms/lands under investigation by the committee of Hon Nantaba. Evidently, this is after H.E. the President discovered through sample on spot investigation that both the landlords and the tenants were not being exactly truthful either to the Committee of Hon Nantaba or, even, directly to himself. I carried out that task of delivering the message of H.E. the President, although it was unpalatable to some. My second task is to investigate all the allegations, and whoever is not telling the truth is held criminally liable. I have reinforced the team of detectives who, incidentally, have been in Kayunga district, for some time, investigating earlier complaints to the President, by both landlords and tenants, when he last visited the district. I have put the team under the new Commandant of the Land Protection Police Unit (LPPU), Assistant Commissioner of Police (ACP) Fred Enanga. They have expanded their scope of investigation in light of the fresh Presidential assignment, and the investigation is proceeding well. My third task is to ensure law and order, given that the President was getting reports, for example that cattle on one farm had been cut, and there was general tension. Indeed, there were incidents of cutting of cattle, as well as a violent attack on a manager of a farm. Incidentally, before the President visited Kayunga, there were cases of houses being set on fire, and cattle and other animals being cut. These incidents were telecast on different TV stations, and they should be available for anybody interested. I have no reason to disbelieve the findings of the Committee of Hon Nantaba (by the way on which Police is represented, initially by Commissioner of Police (CP) Kototyo, and now ACP Fred Enanga) that injustices were committed by landlords on the tenants. However, the remedy must be through the due process of law and NOT through lawlessness and anarchy. In fact, my first disagreement with the Hon Nantaba was when she ordered that the Police should, forcibly, take out cattle and other animals from two farms under dispute to give way to allocations pieces of land to bibanja claimants, and that the cattle should be herded in a cattle market in Bbaale, Galilaya, Kayunga district. On different occasions, when I learnt of it, I opposed that decision (which, by the way, our representative on the committee, CP Kototyo, should have opposed) because of two reasons. One, it was a wrong procedure in law because, legally, the respective owners of the animals were still the titled owners of the farms/lands. · third, subsequently, give possession of the land to whoever was considered by the committee to be the rightful owners. Two, the Police was being compelled to take on a responsibility which we were not able to carry out: herding and looking after the cattle. We did not have capacity (financial and technical) to look after the animals, even that could have been the correct thing to do, which, of course it was not. Moreover, we would be taking on responsibility, under law,for the animals, and should be prepared to compensate the owners in the event that the animals died or were stolen. Indeed, Hon Nantaba knows the position of the President on this matter, and should stop using me as a scapegoat. In fact, to avoid the risk of government taking on undue responsibility, and even legal claims, with the guidance of H.E. the President, where there are such disputes, a temporary arrangement has been put in place whereby both landlords and tenants can, temporarily remain on the respective lands (coexist), but separated by barbed wire, which the landlord must put in place, each side engaging in their activities without interference or conflict. This is to ensure that there is law and order, as both sides await the final verdict of H.E. the President. Clearly, this is my mission and assignment, which in any event is consistent with the duties mandated to the Uganda Police by the Constitution of Uganda, and I believe that is the reason the President assigned me the tasks as Head of Police. In spite of this, however, Hon Nantaba in her outburst accused me of siding with landlords in Kayunga to “illegally” evict peasants from their land. She alleges that my intervention is to undermine her efforts, threatening to resign on my account. She even insinuates that I have personal interests in the land conflicts in Kayunga. To the contrary, as I have explained above, our work is mutually supportive. Rather than consider me a liability, Hon Nantaba should consider the work that we are doing to be supportive and reinforcement of her work. In all my public statements in Kayunga, I was careful to underline that. Unlike her, my statements are respectful to her and a recognition of the good work she is doing. In fact, even in the instances where the committee has made mistakes, I told the public that it was the responsibility of the Police for not advising Hon Nantaba properly. However, personally, in my short and direct interaction with Hon Nantaba I have given candid advice and made appropriate interventions to uphold the law. If she found my advice wrong she should have engaged me or involved others in the matter but NOT to conduct a smear campaign on radios, and TVs to malign and tarnish based on lies. I want to state, categorically, that in all my decisions/actions in respect of land conflicts in Kayunga and for that matter anywhere else, am not partisan, and/or personal, in favour of the landlords and against peasants or bibanja holders. Am as indignant (if not more) indignant against injustices irrespective of who is the victim, and I have a demonstrated record to prove it. I have never had, (and I have not intention of acquiring) even a single acre of land in Kayunga district. It is, indeed, malicious and evil for anyone, later on, a leader, to spread such malicious falsehoods. Having said that, however, as Inspector General of Police, and, indeed as the Uganda Police, we shall continue the work of ensuring that there is law and order in the country, and that the rule of the law in Uganda prevails. Otherwise, I have not locked horns with Hon Nantaba as suggested by the New Vision, and in spite of her attacks. I want to assure Hon Nantaba that I, personally, and the Uganda Police in general support her in her fight to redress past wrongs, if that is her agenda. But am afraid, in doing so, it is incumbent on us to ensure that whatever is done is within the law. That is the minimum. Hooliganism cannot be the response to redressing wrongs committed by hooliganism. The response must be to assert the authority of the law.